The stroboscope is an ingenious device of rapidly flashing lights that allows engineers and scientists to freeze motion and capture brief slices of time. The resulting image is akin to examining a single frame of a motion picture that provides a sharp image, albeit one without context and with neither past nor future. This is now, sadly, an apt metaphor for contemporary clinical encounters. Surveys of primary care practices in the UK indicate patient visits of seven to eight minutes and their American counterparts report seeing more than 40 patients in a working day. Hardly enough time to say hello, let alone deal with the travails of the complex and complicated world of illness. The many reorganizations of health care systems in the interest of efficiency and through-put have added their own pressures such that patients assigned to their own family physician often meet a different doctor on each visit. Residents and students now spend less time with patients and are required to dedicate more hours looking after the insatiable demands of computers and electronic health records—all those time-saving devices intended to reduce administrative demands and herald a robotic utopia. While the many important imaging and ultrasound technologies have certainly improved the precision of diagnosis, an unintended consequence has been a decreasing reliance on the history and physical examination with their inevitable benefits of actually communing with the patient. Thus, on a discursive backdrop of rhetorical flourishes of patient-centered medicine and continuity of care, we have entered the post-millennial world of stroboscopic medicine. A patient may wait weeks to schedule a visit and spend hours in the waiting room for a few minutes with a physician whose attention is hardly undivided, directed in part to the ubiquitous computer and the demand to complete the electronic paperwork. The fleeting encounters lead to disgruntled patients, burnt-out physicians, and increasingly cynical trainees. The latter are now also welcoming their own stroboscopic learning arenas of competency based education with its emphasis on bite-size nuggets of fragmented skills and entrustable professional activities as dissociated frames of clinical care. Image credit: Wittner metronome by Paco from Badajoz, España. CC 2.0 via Wikimedia Commons. The deleterious effects of these flashes of learning and drive-through care will be deepened by an unintended consequence of new drop-in clinics in supermarkets and shopping malls. While these can provide needed and rapid attention to an isolated clinical problem, they may also come to serve as competitors and substitutes for primary care providers whose mandate is to look after an integrated person in the context of her family and community. Without such care-givers, patients will be forced to become the integrators of their own care and asked to piece together into a coherent picture the electronic reports of specialist consultants and disjointed imaging and laboratory results. The resulting picture may be an uninterpretable collage of added uncertainty and anxiety. 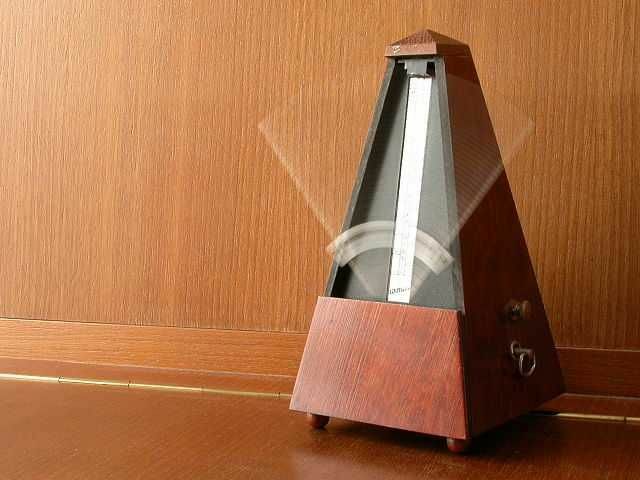 It is hardly a surprise, yet not a happy realization, that clinical work is controlled by a speeding metronome. Obstetrics is beset by skyrocketing rates of Caesarian sections for healthy mothers, emergency rooms display posters of the racing driver, Mario Andretti, with his quip that, “If everything seems under control, you’re just not going fast enough,” and psychiatrists resort to the quick-fix of a prescription in lieu of therapeutic engagement. Small wonder that, while patients still trust their own physicians (if they can find them), they display little regard for the medical profession and the health care system. The good news is that a set of circumstances that benefit neither patients nor physicians is susceptible to change. At the same time, the sobering reality is that change is always difficult, in this instance, because of the myriad of entwined causes and contingent factors. Nonetheless, since the behaviors and attitudes of clinicians are formed during training in medical schools and hospitals, medical educators can play a significant role in changing today’s realities by rethinking and reframing the clinical learning environment. Featured image credit: Stroboscopic photography by Nadeem. CC0 via Pixabay. Dr. Abraham Fuks is a clinical immunologist with experience in research and clinical practice. He served as Dean of the Faculty of Medicine at McGill University from 1995 to 2006 and was a Visiting Professor in the Department of Social Medicine at Harvard University in 2007-2008. He has an ongoing scholarly interest in the language of medicine and its metaphoric structure and in the role of narratives in the patient-physician relationship. 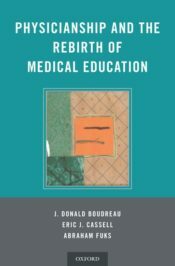 He is the co-author of Physicianship and the Rebirth of Medical Education (OUP, 2018).